RECALLING the Declaration which we adopted at the Pre First Pan African Federalist Congress held in Accra, Ghana December 8th to the 13th Decemebr 2018 in which we decided toofficially launch the Pan African Federalist Movement. The name of this grassroots coalition shall be The Pan- African Federalist Movement hereinafter, referred to as “the Movement” or “PAFM”. The Movement may by a majority vote of its members at its congress change its name. with the laws and regulations of the State or Country in which its headquarters is located. The Headquarters of the Movement shall be seated in Bamako, Mali, West Africa. The headquarters of the Movement may be transferred to any place in one of the countries targeted as future member of the United African States with a vote of two third (2/3) of its members at one of its regular meeting by the International Preparatory Committee (IPC). The IPC shall have the power to create representative offices of the Movement in any country in the world. The main objective of the Movement is to form a grassroots coalition or organizations of Africans and African individuals that will campaign and advocate for the birth of the United African States in less than a generation. The Movement shall launch and execute the campaign for the creation of the United of African States in less than a generation. The Movement shall seek to achieve this through a Bottom-Up organisational and leadership structure that will provide the African people, who are the legitimate proprietors of the sovereignty of their states, the platform to express themselves on their choice of the form of union they want. The Movement shall, as fast as realistically possible, initiate a campaign to advocate for the right of African people in all African States, to be granted a vote to choose their preferred form of political union. The Movement shall continue to create opportunities and the platform for African Federalists all over the world to meet, engage, network and to develop constructive, convincing and realistic arguments to support the establishment of the United African States. The Movement shall aim to work in collaboration with the African Union, Governments of African and Caribbean States, Governmental and Non-Governmental Organisations, Political Parties, Trade Unions, Student Unions, Like-Minded Partners, Media Houses, Businesses and Individualsto achieve its vision of a United African States in less than a generation. The Movement shall be an international organisation and will operate in full observance of the applicable international conventions, treaties and norms. The Movement will at all times promote and be supportive of the dignity, privacy and respect of its members. The Movement does not and shall not discriminate against any member because of their race, colour, religion (creed), gender, gender expression, age, nationality, origin, disability, marital status or sexual orientation. It is mandatory for each organ on the Movement (IPC, RCC, NCC, LCC) to adopt a mechanism for the peaceful resolution of conflict among members through such appropriate means as may be decided by simple the majority of their members. The Movement shall prohibit the use of force or threats among members. Sexual harassment or the false accusation of such act shall always be dealt with swiftly by all the organs of the Movement. The Movement shall promote the respect for the sanctity of human life, condemnation and rejection of racism and anti-Semitism. The freedom of expression is a moral principle within the Movement. No one shall be retaliated against for expressing their opinion within the Movement. Membership of the Movement shall be open to all organizations of African people or individual Africans who subscribe to the ideals of the PAFM. Each national, regional, local or special committee of the Movement may adopt a constitution in accordance with this Charter and be registered and operate in accordance with the laws and regulations of the State in which it operates under the umbrella of the PAFM. Membership to the local, national and regional structures of the Movement shall be open to any African person or organisation of Africans who shares the objectives, vision and aspirations of the Movement. The mode of registration and the dues schedule shall be approved by vote of the Local and National Committees at their annual meetings. The Contribution of the National Committees to the Financial sustainability of the Regional Committee shall be determined each year by the General Assemble of the Committee. The Contribution of the Regional Committees to the finances of the IPC shall be determined each year at its annual physical meeting. Section 2 The membership of an individual or organization can be terminated based on their request or the decision of their local or national committee at a regular general assembly or a meeting convened at least one month in advance to that specific effect. Section 3 Each National Committee shall clearly define in its charter the causes that can lead to the suspension or expulsion of one of their members. Section 4 Once the decision to suspend or expel a member is arrived at, the National Committee is required to inform the Regional committee with ampliation to the IPC this decision. Section 5 The organization or individual suspended or expelled has one week to request the annulment of this decision by the Regional Committee. A last request can be made to the IPC if the decision of the Regional Committee is not satisfactory to either the suspended or expelled or the National Committee which made the decision. Sectio 1 The IPC will sanction, suspend or expel, any of its member from any participation in its activities if, after following due process in which the person is accorded a fair hearing, it determines that the conduct of that person endanger its proper functioning. Section 2 The IPC will request the expulsion for the Movement any of its members that grossly violates this Charter and has or may bring the organisation into disrepute provided that two thirds of its membership vote in favour of this measure at its regular meetings provided that the issue was put in the agenda at least three weeks before such meeting and accused in duly informed at least two weeks in advance. The International Preparatory Committee shall be the supreme legislative body of the Movement. The IPC shall meet at least once a month in ordinary session and hold a general physical meeting at least once a year. The office and term of the elected members of the IPC shall be until the opening of the First Pan African Federalist Congress. Member of the IPC shall all be eligible for election in the New Supreme Organ of the PAFM. The IPC shall take its decisions by consensus or, failing which, by two-thirds majority of the members. However, procedure matters, including the question of whether a matter is one of procedure or not, shall be decided by a simple majority. Two-thirds of the total membership of the IPC shall form a quorum at any meeting of the IPC. The Executive Committee will receive, consider and make proposals to the IPC on reports and recommendations from the Regional Committees the Movement. The Executive Committee of the IPC will Monitor the implementation of the policies and decisions of the Movement. The IPC Create other Committees of the Movement when it can justify their needs. Any proposal to create a new committee must receive the approval of 2/3 of the members of the IPC for approval. All members of the IPC must be active in their National and local Committee. They must be current in the payment of their dues at those levels. While expelled from or suspended by their national committee they cannot serve in the IPC. Coordinated the activities of the IPC. The Chairperson with the approval of the IPC shall create new committees and appoint standing committee chairpersons. The Chairperson and the Deputy Chairperson shall be granted the status of observers in all committees. The Chairperson and the Chair of the External Affairs Committee shall represent the Movement in all international engagements. Shall, in the absence of the chairperson perform all the functions of the chairperson. In the event of both the Chairperson and the Deputy Chairperson are unable to temporarily or permanently perform their duties the Chair of the External Affairs Committee shall assume the function of the Chairperson of the IPC until the IPC can elect persons to replace them. These persons nominated persons shall hold office until the Chairperson and/or the Deputy Chairperson are able to assume their duties or until the First Pan African Federalist Congress. The Secretary-General shall be in charge of the permanent Secretariat and shall keep a roll book of all members of the IPC. The Secretary-General shall keep records of all meetings of the board of executives and of the Movement. The Secretary-General shall distribute a draft of the minutes prior to each meeting, and record for the permanent record any corrections made at the time of acceptance. The Treasurer-General and Chair of the Finance Committee shall be responsible for Raising and Handling all monies of the Movement and shall keep appropriate and accurate records. Any cheque or disbursement must be signed by the Chairperson, the Treasurer and the Accountant of the PAFM. A financial report shall be presented at all meetings of the board of executives and at the annual general meeting of the Movement. The Chair shall be in charge of monitoring the state of readiness of the Movement for launching the Campaign for its planned referendums. The Chair is in charge of nominating, with the approval of the Executive Committee of the IPC, the Coordinators of the Regional Committee up to their Election by the National Coordinators of the Region. Responsible for the creation and implementation of the communication strategy of the Movement. Responsible selecting the spokesperson of the Movement for the approval of the IPC. The chair is responsible ancillary duties such as Brand, Media, Press Releases and the projection of the Movement on the global platform. Responsible for developing and evaluating issues and initiatives through the study of international policy and standards. Formulating policy and Collaborating with foreign counterparts. Facilitating meetings between the IPC and Heads of States and Governments as well as heads of international organisations. Advise the IPC on best practice, procedure and protocols. In charge of all legal and regulatory issues of the IPC. responsible for assisting the IPC with developing, communicating, executing, and sustaining strategic initiatives for its campaign. Develops the security policy of the Movement and protect the confidential information of the IPC. Any other duties that the IPC may assign to the Chief Security Officer by the IPC. The head of the Youth wing of the Movement is responsible for the mobilization of the African Youth around the agenda of the Pan African Federalist Movement. Any other duties that the IPC may assign to the youth wing of the Movement. The Regional Coordinators monitor the activities of the National Committees within their regions. They are assisted in this task by the Regional Executive Committee (REC). The Regional Coordinators Report all issues relating to their Regions to the IPC Chair of the Structures. Until and election is held by the Regional Committee, the Regional Coordinators are nominated by the Chair of the Structures in the IPC with the Approval of the Executive Committee of the IPC. The Regional Coordinators Nominate the National Coordinators until a National Constitutive Assemble of the National Preparatory Committee (NPC) elects the various officers of the National Executive Committee. Any other duties the IPC may assign the regional Co-ordinator. The Executive Committee shall execute the program outlined by the IPC. The Executive Committee answers to the IPC and take the lead in coining the policies, strategies and tactics for the development of the Movement. It shall take on any matter so referred to by the IPC. Recommendations of the Executive Committee shall not be binding on the IPC and the IPC may accept, amend or reject these recommendations. The Secretary General of the IPC is in charge of the Permanent Secretariat. The Permanent Secretariat is in charge of handling the daily activities of the IPC. The Members of the Permanent Secretariat shall all be full time employees and based at the headquarters of the Pan African Federalist Movement. The Secretary General shall hire the members of the Permanent Secretariat after the approval of the Executive Committee by a majority vote. The firing of the Permanent Secretariat shall also follow the same course. 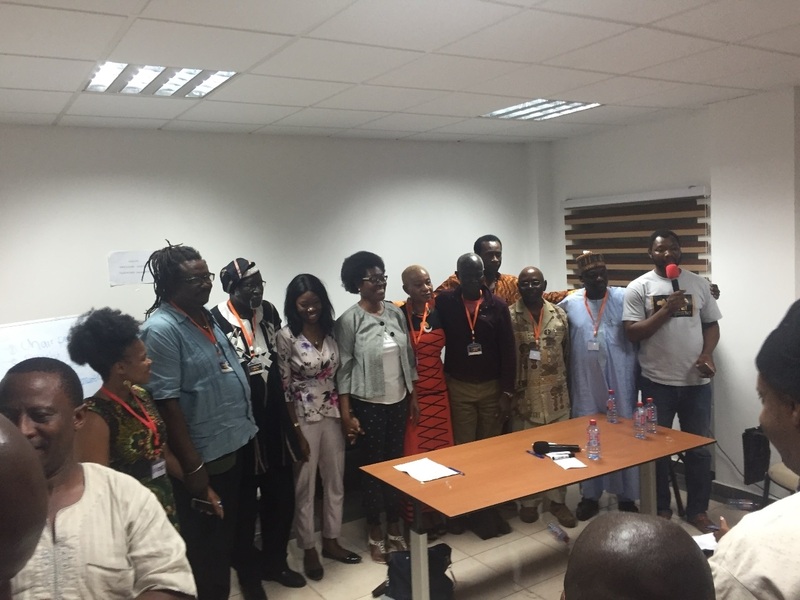 Present at the Opening of the First Pan African Federalist Congress a slate of nominees for election as officers of the Congress. When a vacancy occurs among the elected officers of the IPC, the Chairperson or Acting Chairperson in collaboration with the Deputy Chair and the General Secretary shall announce the vacancy and ask for candidates to fill the vacant seat. The final list of the candidates shall be submitted to the IPC at least one week before the next regular meeting of the IPC which will elect the new member of the IPC. Vacancies shall be filled by a majority vote of IPC at any of its duly constituted meetings. The Annual General Physical Meeting of the Movement shall be held once a year, at a time and place determined by the IPC. Regular meetings of the IPC shall take place at least once every two months and may be held via a medium to be determined by the General Secretary. Special General Meetings of the Movement may be called by the Chairperson or upon the written request of at least one fifth of the IPC members. The Secretary General shall inform every member of the meeting date, not less than two weeks in advance, by sending a mail to his physical address or an electronic address as it appears in the membership roll book. Two-thirds of members shall constitute a quorum, and action on motions shall be decided by a majority vote of those present. Where a Special Meeting is called, the Secretary-General shall give members at least 72 hours’ notice. A member or members of like-minded partners and organisations, Experts on certain issues, Ambassadors and Ambassadresses of Sages may be invited to participate in the Annual General Physical Meetings on a non-voting basis. The convention of collective responsibility shall prevail in all IPC meetings and deliberations. The IPC shall, whenever it deems appropriate, restructure add new establish new Committees whose chair will automatically join the Executive Committee. This approval for the creation of the New Committee shall do done by 2/3 of the IPC members. Carry out any other functions assigned to it for the purpose of ensuring the realisation of the vision of the Movement. There shall be established a permanent secretariat of the Movement. It shall be composed of permanent staff who shall be charged with the responsibility of preparing the work of the IPC and acting on the IPC ‘s instructions. The Permanent Secretariat shall be located in Bamako, Mali. The Regional Coordinating Committee have the ultimate power to determine the policies of the Pan African Federalist Movement. However, these policies and decision must be in conformity with the Charter of the Pan African Federalist Movement. The National Coordinating Committee is composed of the National Coordinator, the Deputy National Coordinator, the former members of the National Initiating committee and the Representative of the National Organizations which are members of the Pan African Federalist Movement. The National Coordinating Committee is Responsible for the development of the PAFM in the Country and its readiness for a people’s duly mandated participation of the country to the Pan African Federalist Congresses. The National Coordinating Committee are required to have a National Charter. No Article in the National Charter shall violate the PAFM charter Article and/or the Regional Charter. The National Coordinating Committee has the ultimate power to determine the policies of the Pan African Federalist Movement in the Country. However, these policies and decision must be in conformity with the Charter of the Pan African Federalist Movement and the Charter of the Region to which the country belongs. The Pan African Federalist Congress is the Supreme Organ of the Pan African Federalist Movement. The Date, Host Country and venue of the Pan African Federalist Congress are determined by the legislative body of the Movement at least two years in Advance. Special Pan African Federalist Congresses can be convened in Six Month provided that 2/3 of all the members of the legislative body agree in a written form. c) Select the Location of the Capital City of the United African States and choose its Name. d) Set in motion the birthing Process of the United African States(drafting and ratification of a Federal Constitution, Merging of institutions, setting of inauguration date or any matter that can facilitate the full operation of all the organs of federal union) . e) The dissolution of the Pan African Federalist Movement. The fiscal year of the Movement shall start on January 1 and end on 31 December. No part of the net earnings of the Movement shall be to the benefit of, or be distributable to its members, executives, officers, or other private persons, except that the Movement shall be authorised and empowered to pay reasonable compensation for services rendered and to make payments and distributions in furtherance of the purposes of the Movement. Where conflict of interest may be thought to exist for an Executive Member, the member shall inform the IPC and abstain from any inappropriate participation in the matter. This Charter may be amended, in whole or in part, by a two-third vote of the total members of the IPC which includes at least two-third of the Regional Representatives. The notice of the said meeting contains a specific Notice of Intention and that a summary of proposed change/changes is included therein and send at least two months ahead. The Regional Coordinators shall submitted the proposed amendment to their National Coordinators at least one month before the deciding vote on the amendment. Upon the attainment of the main purpose for which this Movement is established – the United African States - the Movement shall be dissolved. The date of the Pan African Federalist Congress for the dissolution of the PAFM shall be determined by the Legislative Body of the PAFM and cannot be in less than a Full Calendar Year after the swearing in office of the members of the Legislative, Executive and Judicial Bodies of the United African States. Upon the dissolution of the Movement, assets of the Movement shall be used to create a Federal Higher learning institution of the United African States in accordance with the laws of the Federal Union. The working languages of the Movement shall be Ki-Swahili, Arabic, English, French and Portuguese and Spanish. The Legal Committee shall be seized with matters of interpretation arising from the application or implementation of this Charter. Pending its ratification such matters shall be submitted to the IPC, which shall decide by a two-thirds majority. The present Charter shall be open to signature and ratification by the Members of the IPC after submission for ratification to the members of the Movement through their Regional and National Coordinators. The instrument of ratification shall be kept by the Secretary-General of the Movement. The present Charter shall come into force thirty (30) days after the deposit of the instrument of ratification by two-thirds of the members of IPC. Upon the entry into force of this Charter, all measures shall be undertaken to implement its provisions and to ensure the establishment of the Committees and Secretariat provided for under the Charter in accordance with any directives or decisions which may be adopted in this regard by the members. This Charter, drawn up in four (4) original texts in Arabic, English, French, Portuguese languages, all four been equally authentic, shall be deposited with the Secretary-General of the Movement and shall upon entry into force of this charter register the same with the African Union.